Strategy without tactics is the slowest route to victory. Tactics without strategy is the noise before defeat. Having a great strategy isn’t worth a whole lot to anyone unless it’s backed up by solid tactical execution capability – which means project management. And no matter how good the project managers are, individual excellence in project planning and control won’t overcome cross-project resource overallocations and poor outcomes if projects are not strategically aligned and properly prioritized. The trick therefore is to unite the two in a strategic implementation framework. Properly connecting strategy and tactics involves the disciplines of portfolio and program management. This crucial linkage – often missing or incomplete – bridges the gap between the promise of strategy and the actuality of operational results. Portfolio management, most importantly, establishes executive oversight for project selection, project prioritization (see Project Prioritization Criteria), funding and resource allocation (see The Goals of Portfolio Management). Program management provides the governance and architecture for defining, planning and controlling broad strategic initiatives comprised of interdependent projects (see Project or Program). Do we know how strongly each declared strategy is supported by our current projects? Do we believe we have the optimal mix of projects to fulfill our strategy – taking account of various business needs, execution constraints and operational imperatives? Do our strategic programs clearly lay out the relationship between objectives, projects, deliverables and benefits? Is each program properly coordinating the component projects using a single integrated master plan? Are cross-project resource contentions identified in advance and resolved proactively before progress is impacted? Have success metrics been identified for projects, for programs and for portfolios, and are they being tracked and reported systematically? For most organizations, a critical component of portfolio management is a framework for prioritizing project work. This involves evaluating the merits of current and candidate projects against a common set of criteria and using the results to rank-order the importance of those projects for the purposes of optimizing the portfolio (see “The Goals of Portfolio Management”). But which prioritization criteria should be used? Note that criteria lie on a continuum of tangibility; while some are easily quantifiable for any project, the more intangible may be challenging to rate. appropriately balanced for the portfolio’s type of projects. To quote Einstein: Keep it as simple as possible – but no simpler. What projects are going on? How well do our projects support business strategies? Are we investing in the most appropriate way? How far are resources overstretched? 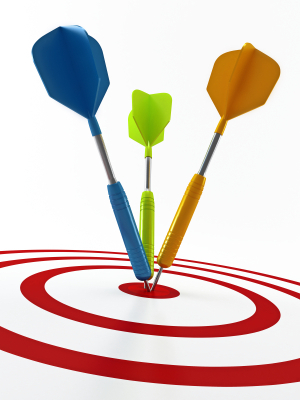 How well are projects meeting performance targets? Are project priorities clear and being acted on? Are projects delivering anticipated benefits? WHY? To validate that each project is evaluated on it’s own merit for contribution to strategic objectives. HOW? Establish impartial criteria for judging project importance. Strategies must be the starting point for determining these criteria – which naturally implies that strategy needs to be clear. Weight the criteria to reflect the more important strategies and avoid excessive focus on financials. WHY? To achieve the best return from available funds and people. HOW? Consider alternative investment options for each individual candidate project. Insist on accurate resource forecasts for all projects. Use phase-planning on major projects with stage-gates to control execution. Optimize project resource utilization in conjunction with strategic importance. WHY? To ensure appropriate attention is given to necessary, internal capability-building projects as well as those exciting, high-earning customer-facing projects. HOW? Set up separate sub-portfolios or ‘domains’ for projects of a similar nature, each with their own relevant prioritization criteria. Systematically re-assess project investments, execution performance and delivered benefits across domains. Getting all this done requires (a) strong top-down support, (b) the right framework to operationalize portfolio optimization, (c) a highly effective Portfolio Support Office, and (d) proper project management in place across the organization. Deficiencies in any one of these will always compromise success. 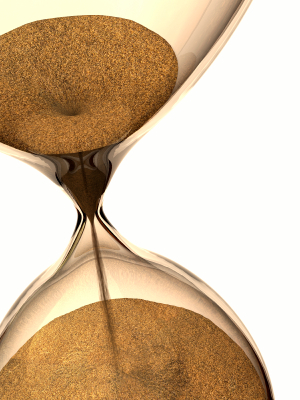 Portfolio Management – Why the Long Wait? It’s good to see more organizations finally getting serious about project portfolio management. But why is it taking so long? While all the process elements have been understood by an enlightened few for many years, progress in putting portfolio management into widespread practice has been disappointingly lethargic. Managing a portfolio is the responsibility of executives and this is a message that does not always get driven home. Portfolio management provides the crucial linkage of project work with strategy and ultimately the enabler of that strategy. It is not just another level of tactical project management. Executives have to take ownership, get firmly involved and be supportive. In the same way as projects need some form of process to facilitate successful execution, a portfolio requires a structured methodology for establishing oversight procedures, prioritizing projects, balancing resource capacity and demand, and optimizing project funding, scoping, integration, sequencing and resourcing for strategic value. Portfolio management is a discipline. Often lost in the conversations about project prioritization frameworks and strategic alignment is the simple fact that without solid planning and tracking at the individual project level, portfolio management can never achieve its primary goals. Proper portfolio management needs proper project management. Portfolio management, like project management, is scalable. It has to be designed to fit the organization’s culture and the way in which decisions are made and work gets done. Misaligning the intensity of portfolio information needs, analysis and control with a firm’s culture is a guaranteed showstopper. Each activity should not only deliver real value – it has to be widely supported. On a positive note, portfolio management is getting increased executive level attention. There is a realization that the option to “Do Nothing” incurs a very significant cost in unrealized strategies, overstretched and demoralized project teams, a lack of knowledge and control over what’s really going on, and dissatisfied customers. No longer can organizations afford not to respond. The call to action is gaining traction. Linking Projects to Strategy… er, what Strategy? All good portfolio managers know that their organization should select and value projects with respect to its chosen strategies. This is intuitively rational given that strategy lays out future direction and projects exist to transform that vision into reality by satisfying needs for change and improving on what was or what is. 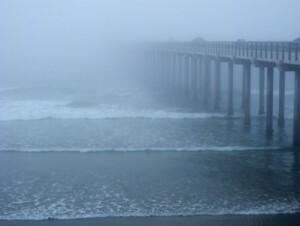 Blue Ocean or Misty Ocean? The reality however is that core company strategies are oftentimes not widely communicated, or at least, they are not well understood across the organization. I confess this does not make much sense to me. Why spend time conceiving Blue Ocean strategies or creating Balanced Scorecards if the outputs (and importantly, the consequences for project work) are not plainly articulated to all? (Ok, I’m forgetting the cost reduction or downsizing strategy which tends to be conveyed without much ambiguity). There are some exceptional standouts of course – I once consulted at a global bank that had its core strategies posted on everyone’s cubicle – but in the main I meet disturbing numbers of managers and PMO staff who readily confess that their organization’s strategies are pretty much invisible or at best opaque. (When I hear this, my mind heads off into scenes from the visionary 1927 movie “Metropolis” which portrays a segregated world of workers slaving underground, achieving goals without vision, while the ruling elite above the surface – the Thinkers – make grand plans without knowing how things work). Without clear strategy, we have no context of purpose. The entire organization needs context of purpose. Purpose inspires. Without clear strategy, good ideas and smart programs cannot be developed, projects cannot be optimally aligned, evaluated and prioritized, and resources cannot be effectively mobilized and motivated. You are currently browsing the archives for the Portfolio category.